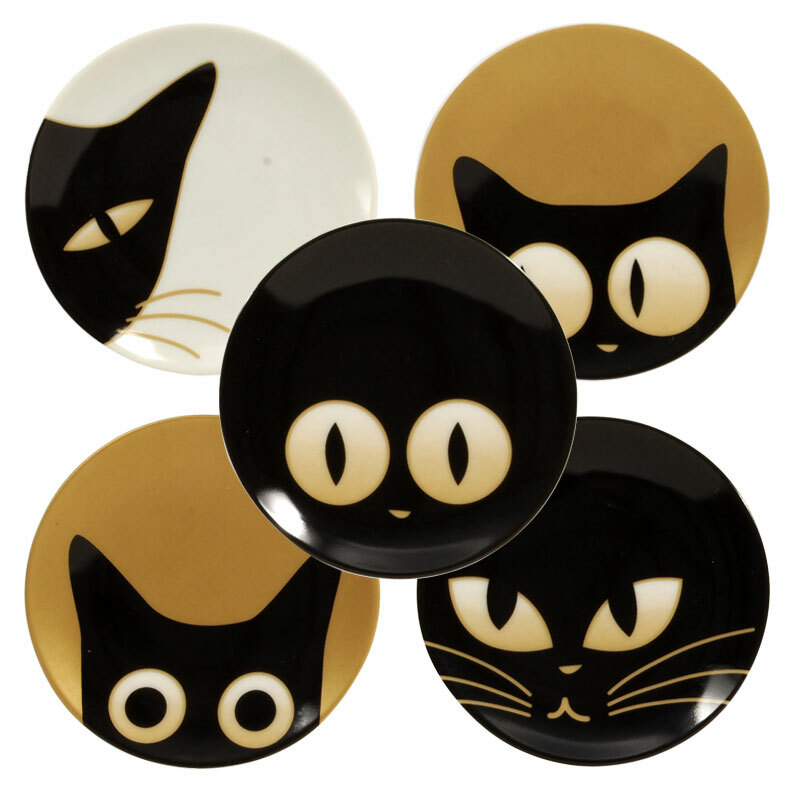 Cat Eyes Mini Plate Set of 5. Packaged in a black gift box. 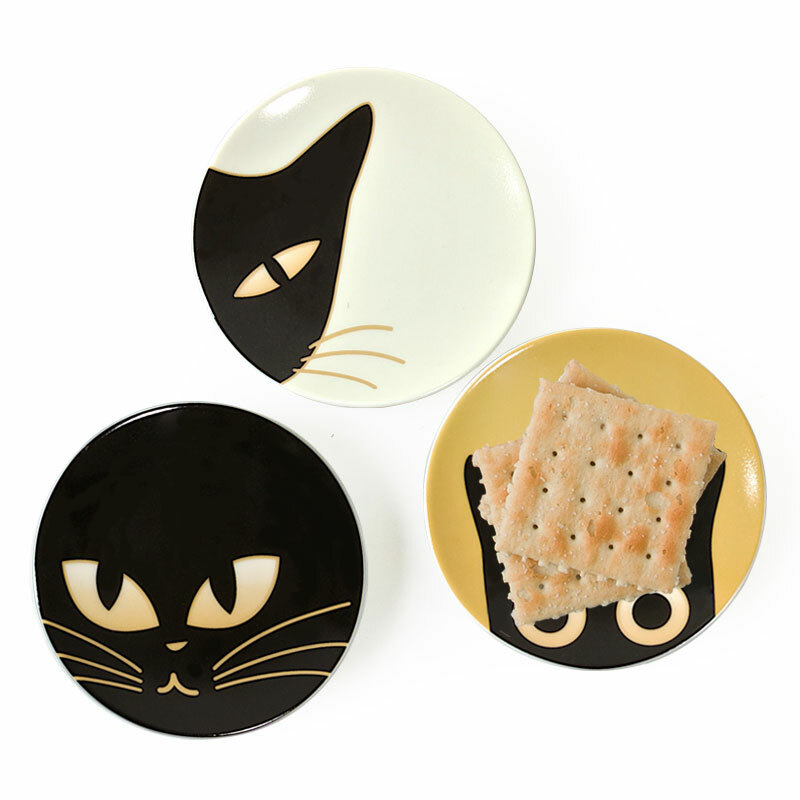 For cat lovers everywhere, these kitties are perfect for candles, candy, jewelry or for actual food! Matching mugs [item# C2502A, B, C] and glass dishes [item# C2886A, D, E, F] are also available.